I am currently on my holidays in Kent, the so-called Garden of England. I drove down on Thursday and before I left I visited the allotment. Somewhat to my dismay I found that production appeared to have stepped up a gear. 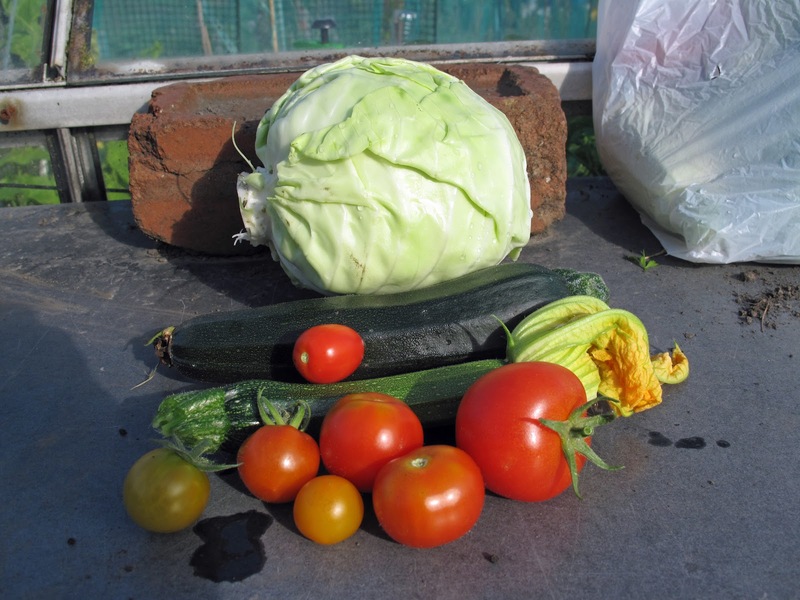 I harvested cabbage, far too many courgettes (for the first time this year I had a glut! ), runner beans, carrots, cucumbers, and peppers. I am away until September, and it is a pretty bad time to be away. I share allotment duties with my Dad and he is also going to be away for a week. So now I am paranoid that I will come home to find my courgettes all turned into marrows and that the beans and sweet peas (which are finally covered in flowers) will have tired at not being picked and will have given up growing. I asked my Dad to strip the beans and courgettes of everything before he goes away in the hope of keeping things going as I am sure we are going to get an Indian Summer (fingers crossed)!! 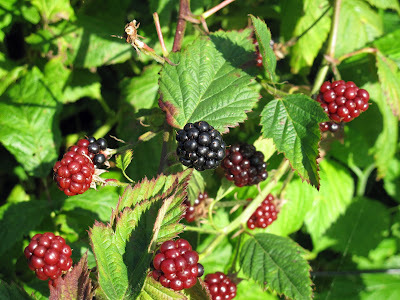 As I left my blackberries looked like they were at the beginnings of being ready. This is the first time we have had blackberries. Amazingly this is a 2-year-old bush, it is huge, and is loaded with big juicy berries. Theo has been eyeing them up for ages, so I am hoping that the birds won't have had them all by the time we get back. Always the way isn't it. 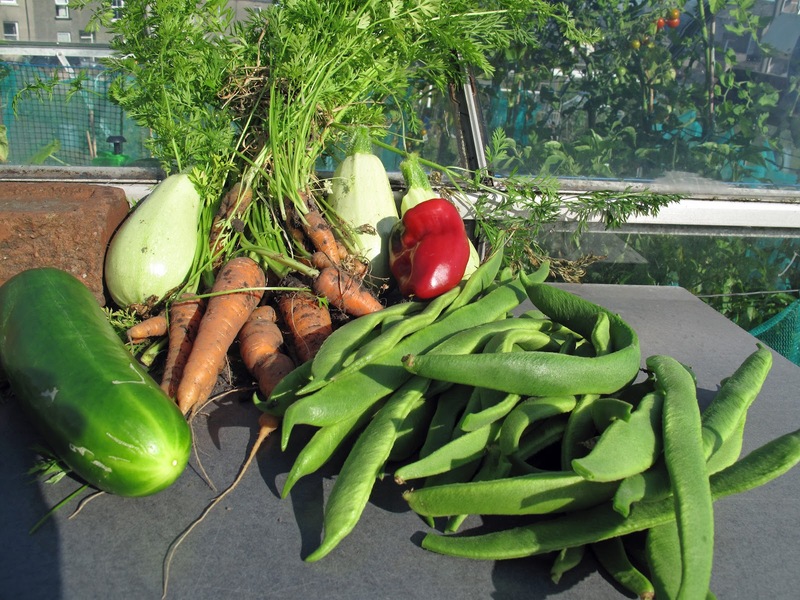 We wait for months for our fruit & veg to produce enough to pick & life gets in the way. Hope you have a great holiday. Thanks! I thought that I would have loads of time when my youngest went to school, it hasn't turned out like that. I always seem to be very busy rushing from one job to another. I am sure there will be something left for you to harvest when you get back as long as the slugs and the birds don't find it first. I hope so. I can guarantee that there will be a sea of chickweed to deal with!